Let’s talk about LOW BACK PAIN. As a chiropractor, I am extremely interested in Low Back Pain. It is the most common problem that patients present with, in my office. It is also in my view, one of the most misunderstood symptoms affecting humanity. Recently the prestigious Lancet publication released three, earth-shattering review articles about the global problem of Low Back Pain. I have summarised the pertinent findings below but please feel free to check out the articles at https://www.thelancet.com/series/low-back-pain. The articles emphasize the huge extent of the low back pain problem, in cost and suffering. They also demonstrate the historical mismanagement of low back pain throughout the world. The unfortunate truth is that most people across middle to high-income countries will go to a hospital emergency department when they experience low back pain. Why, must it be asked? Can people be better treated elsewhere? In South Africa, over 90 percent of patients visiting hospitals with low back pain are given opiates. But benefits of opiates are very small and come with considerable risks of dependence and addiction. They do not help long-term low back pain. Surgery can be helpful for severe cases but costs are skyrocketing across the world. Often times risks of surgery outweigh the benefits. Surgery, especially failed back surgery, has not helped the problem. So what does work? Well, latest guidelines from the US and UK on low back pain, recommend non- pharmacologic treatments including manipulation, mobilization and massage. Yes! Before you ask, non- pharmacologic means Panadol has also been proven to be ineffective. Neurofen and other non- steroidal anti-inflammatories can be taken and do help but recommendations insist, the smallest dose possible for the shortest amount of time. What really works is manipulation, especially chiropractic manipulation. 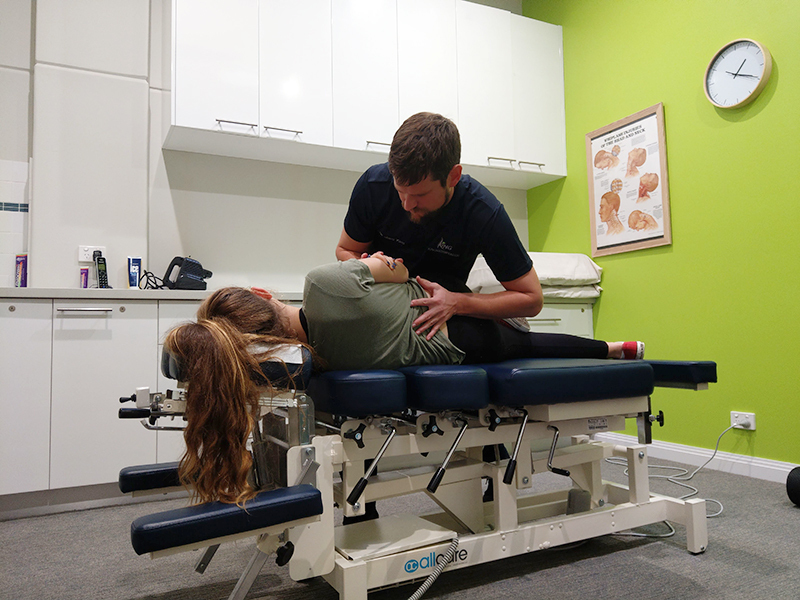 Manipulation and mobilisation, especially in conjunction with massage and alongside achievable and recommended exercise is now highly regarded in governmental guidelines for the betterment of back pain. The scientific weight behind chiropractic care, especially the care I give my patients at King Chiropractic, demonstrates that chiropractic care is proven, and recommended by governmental guidelines across the world. It is an extremely positive message for chiropractors and patients across the world. A lot more positive it must be said than the harsh realities of the shear scale of the low back pain problem. Low back pain (LBP) is one of the most common symptoms experienced within humanity. In fact, low back pain is now the leading cause of disability throughout the whole world. It is estimated that over 540 million people are suffering low back pain at any given time. Most concerning about the global burden of low back pain, affecting people and the economy, is that it has substantially increased. In the last decade the global burden of low back pain, measured in years lived with low back pain or disability, has increased well over 50 percent. Low back pain is defined as pain occurring between the lower margins of the bottom ribs and the gluteal creases (lower portion of the buttocks). Commonly, low back pain can present with leg pain in one or both legs. Who experiences low back pain and how long can it last? Low back pain occurs in all age groups, from children to the elderly. Pain usually improves within the first six weeks after the first onset. By 12 months, low back pain should almost be completely gone. Two thirds of patients will still experience some pain at three months following initial pain onset. That is some 67% of people who get low back pain! 33% of people with low back pain usually have a re-occurrence of pain within the first year of recovery. Commonly people with physically demanding jobs, previous physical problems, psychological and mental vulnerabilities, smokers and overweight people are at most risk of developing low back pain. Most of the time the specific cause of low back pain cannot be officially identified. In fact, most health practitioners label it “non-specific low back pain”. Only a very small percentage (less than 1 percent) of patients have an obvious cause such as vertebral fracture, malignancy (cancer), spinal infection or some form of arthritis. The vast majority of low back pain sufferers experience pain without obvious structural or chemical understanding as to why they are getting it. How can King Chiropractic help?
. Chiropractors have dedicated many years synthesizing, developing and practicing the art of spinal manipulation. Nicolas and I, at King Chiropractic focus on excellence in patient- centred care. Meaning, we treat what needs to be treated and don’t waist your time or money on treatments that won’t work. It is one reason why we don’t stuff around with ultrasound and TENS machines. It has been proven they don’t help! If our treatment doesn’t help we don’t keep you coming back. We assess the low back, diagnose the problem and treat it in the most effective way possible. Each patient will receive the benefit of long, well practiced experience in manipulation excellence, informed with the best possible scientific literature to alleviate your pain and discomfort. Treatments always include- skilled manipulation and focused deep tissue massage therapy. It feels good and really improves function at work, decreases stress and helps sleep. Studies suggest that 1 in 7 GP consultations in the UK are due to low back pain, a high income country similar in demographics to Australia. Chiropractors in Australia only see less than 10% of the population. It is clear the message that chiropractic treats low back pain well is not out there. We have a lot more to give the Australian population and hopefully, medicine and general practice will realize the part we can play in alleviating the global burden of low back pain. If you have low back pain come see us! Tell your GP you are seeing us. At King chiropractic, Nicolas and myself are very willing to work in with other professions and forge greater understanding to combat low back pain. Give us a call!